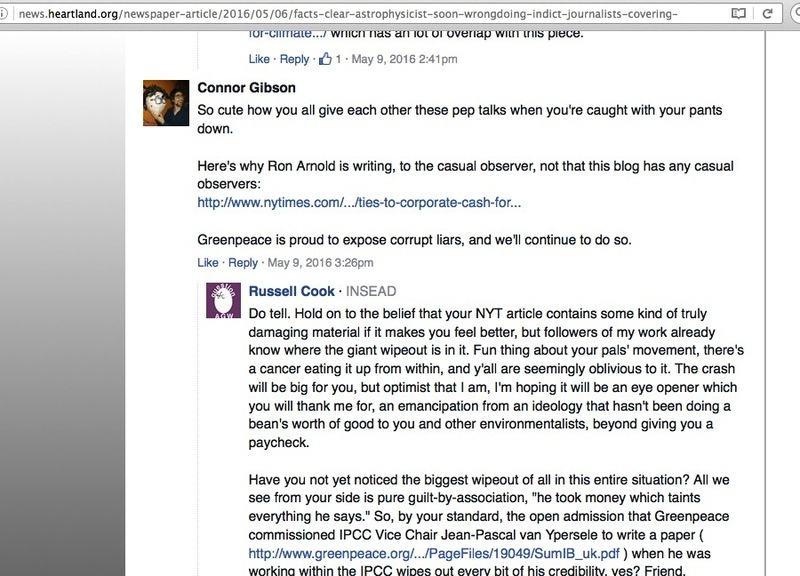 It’s been insinuated across the internet that skeptic climate scientists are corrupted by industry money payments, and insinuated directly to me by no less than Greenpeace’s Connor Gibson (while linking to a New York Times article insinuating the same accusation). 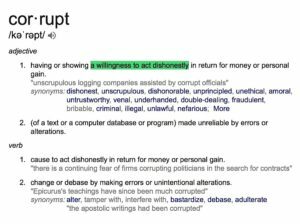 Years back, one blogger told me to simply to trust my gut about the existence of this corruption. 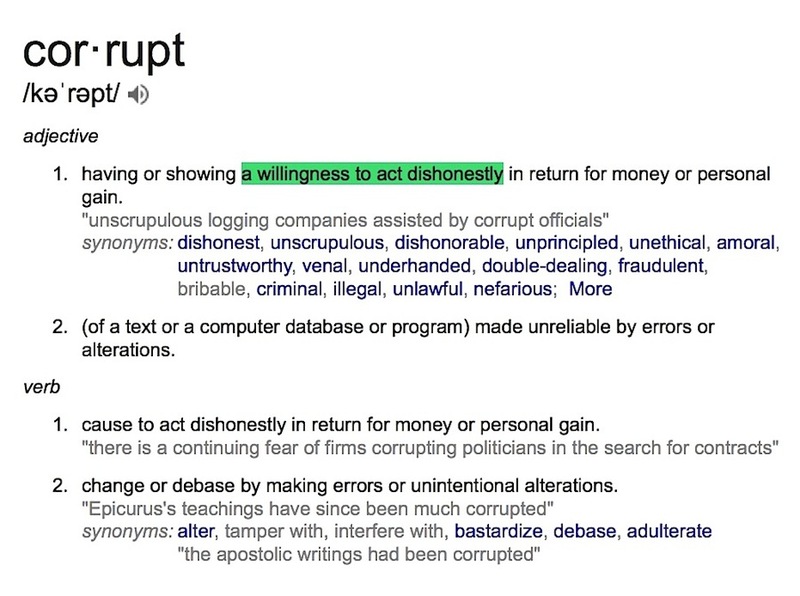 It is as though these believers in man-caused global warming literally do not understand that “corruption” entails two parts: a willingness to partake in a dishonest act, as the result of being paid or otherwise receiving benefits for doing so. In the case of the global warming issue, a person having either a set position or no position at all becomes corrupted by industry money the moment he or she agrees to engage in dishonest behavior prompted from that payment. 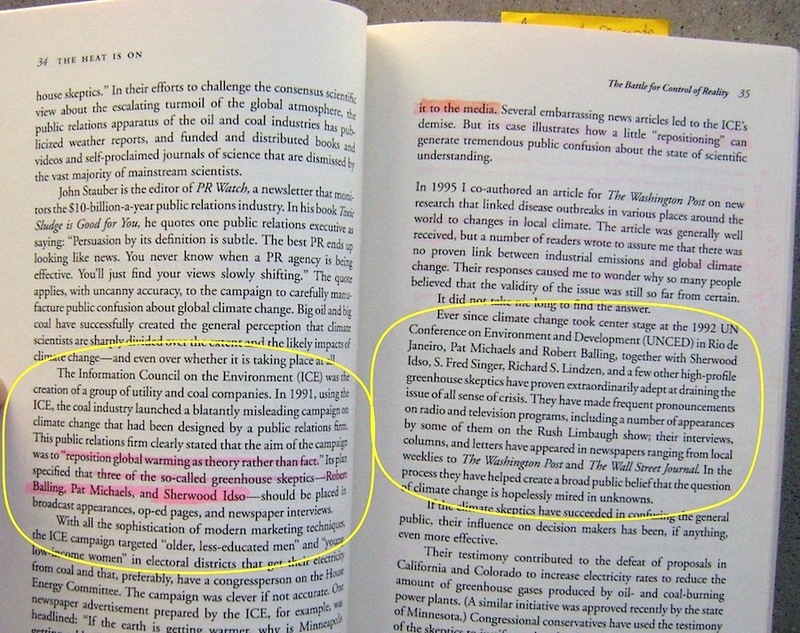 The Information Council on the Environment (ICE) was the creation of a group of utility and coal companies, In 1991, using the ICE, the coal industry launched a blatantly misleading campaign on climate change that had been designed by a public relations firm. 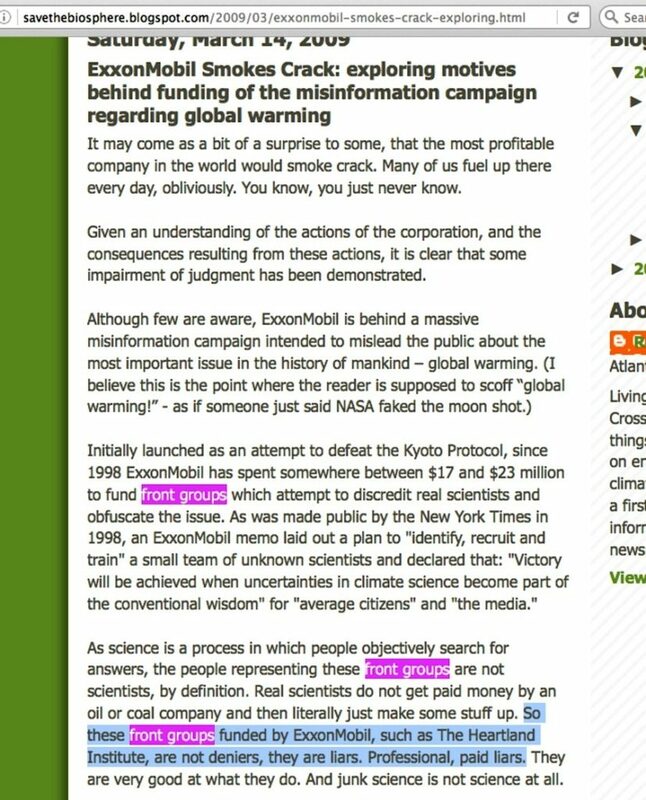 This public relations firm clearly stated that the aim of the campaign was to “reposition global warming as theory rather than fact”. 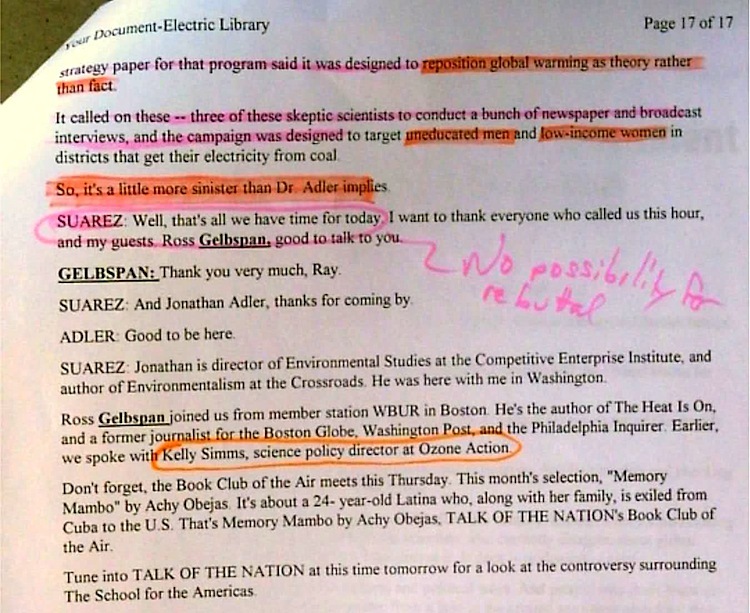 Its plan specified that three of the so-called greenhouse skeptics – Robert Balling, Pat Michaels, and Sherwood Idso – should be placed in broadcast appearances, op-ed pages and newspaper interviews. Ever since climate change took center stage at the 1992 UN Conference on Environment and Development (UNCED) in Rio de Janeiro, Pat Michaels and Robert Balling, together with Sherwood Idso, S. Fred Singer, Richard S. Lindzen, and a few other high-profile greenhouse skeptics have proven extraordinarily adept at draining the issue of all sense of crisis. They have made frequent pronouncements on radio and television programs, including a number of appearances by some of them on the Rush Limbaugh Show; their interviews, columns, and letters have appeared in newspapers ranging from local weeklies to The Washington Post and The Wall Street Journal. In the process they have helped create a broad public belief that the question of climate change is hopelessly mired in unknowns. Impossible to miss the insinuation there. 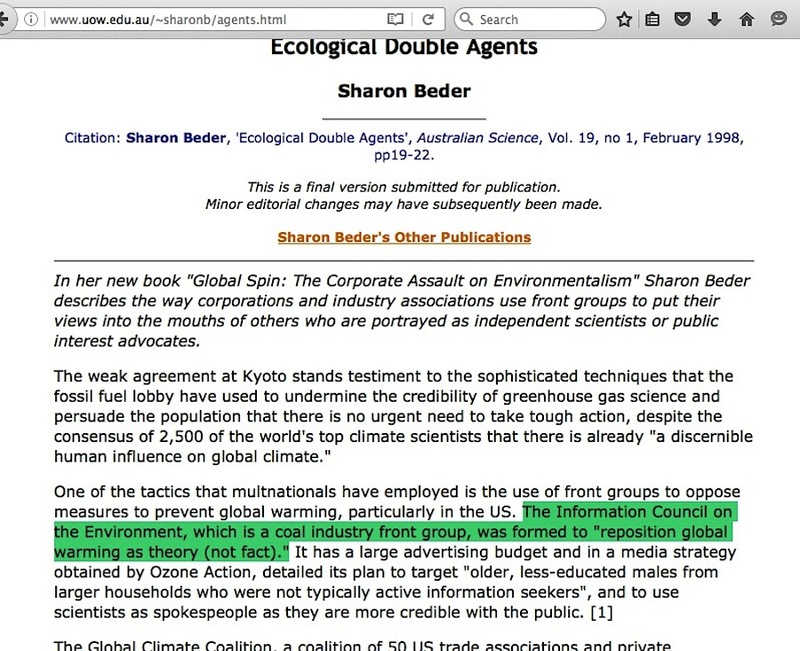 Skeptic climate scientists, holding unspecified viewpoints prior to the 1991 ICE campaign, were subsequently corrupted to spout the position of the fossil fuel industry. 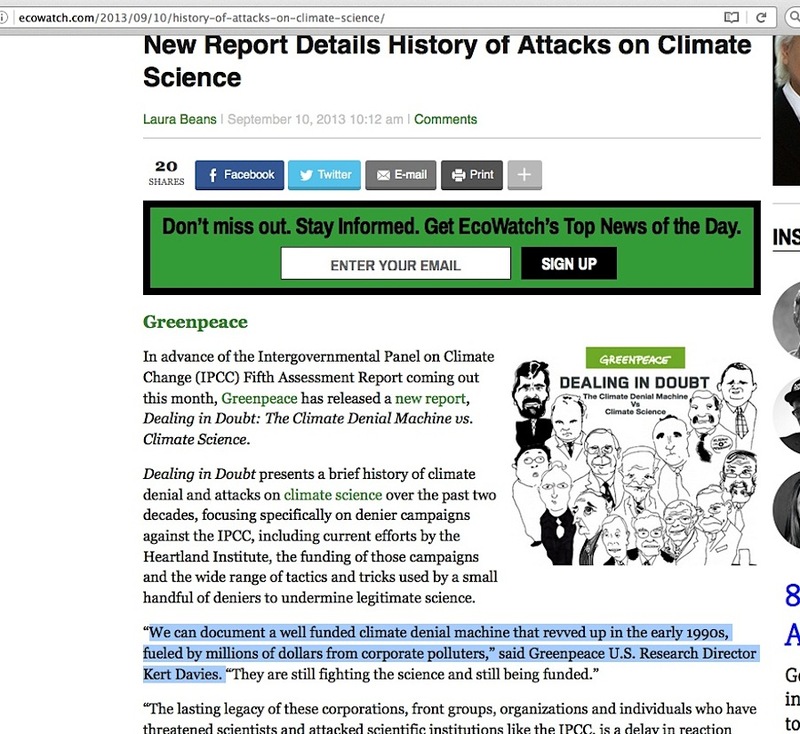 Follow that up with what Gelbspan states at the bottom of page 35 and onto page 36 …. But there is a fatal problem to this ‘skeptics were corrupted by huge industry payments to repeat industry lies’ narrative. Take a long look at the documentary movie “The Greenhouse Conspiracy.” Among its other speakers, it features PhD scientists Pat Michaels, Robert Balling, Sherwood Idso, and Richard Lindzen, offering positions no different than what they had after the ’92 Rio de Janeiro conference. When was it broadcast? August 1990. 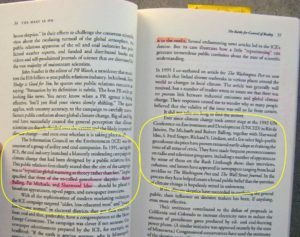 Nearly a full year before late spring 1991, the date Ross Gelbspan essentially assigned as the beginning of those four scientists’ association with the fossil fuel industry. So, where’s the corruption here? Oops, wrong alleged fossil fuel company. 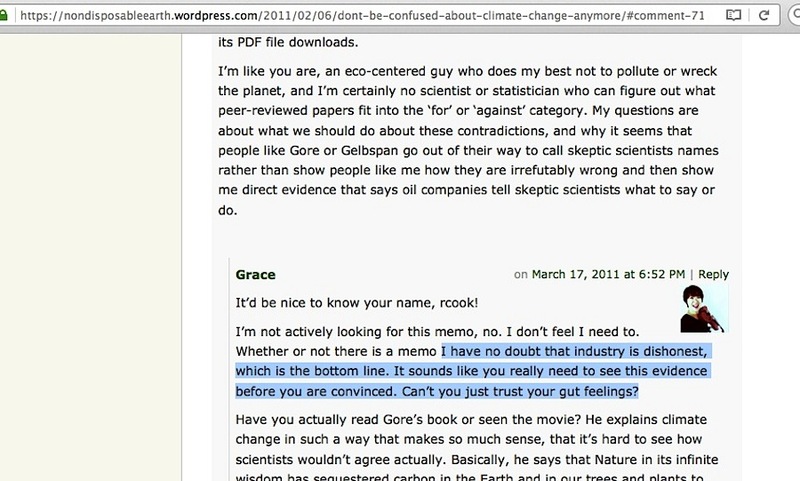 But what does basically every enviro-activist believe about front groups, no matter who backs them? That illicit fossil fuel money goes into the paychecks of people who lie on behalf of that industry. Meaning, people such as Michaels, Balling, Idso, Singer, and Lindzen. This begs for three final elemental questions: What climate science expertise do enviro-activists have to prove that skeptic climate scientists’ assessments are lies? Where is the evidence that industry people paid them to lie? And again, since skeptic climate scientists have had the same position this entire time, where is the corruption in all of this? This entry was posted in Narrative derailment by Russell Cook. Bookmark the permalink.